If you would like to contact anyone at BrumYODO to enquire more about what we do then feel free to contact us via the form below. As we’re all volunteers it’s not feasible to have a telephone number right now but if you want a fast response Twitter is often a good way to catch us! 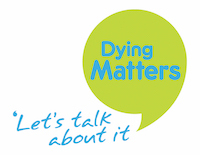 If you have an event in mind for A Matter of Life and Death 2019 we’d love to hear from you too.